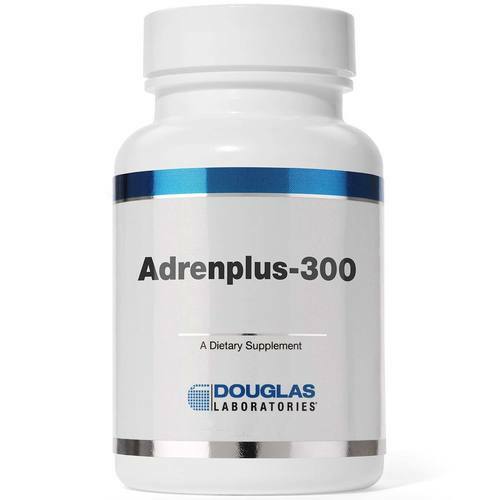 Adrenplus-300 from Douglas Labs features vitamin a, vitamin c, zinc and more in each serving. 警告: Keep out of reach of children. Consult your healthcare provider before consuming this or any other dietary supplement. Tamper resistant package, do not use if outer seal is missing. 注意事项: This product contains no yeast, wheat, gluten, soy protein, milk/dairy, corn, sodium, sugar, starch, artificial coloring, preservatives or flavoring. 推荐用法: As a dietary supplement, adults take 2 capsules daily or as directed by your healthcare professional.